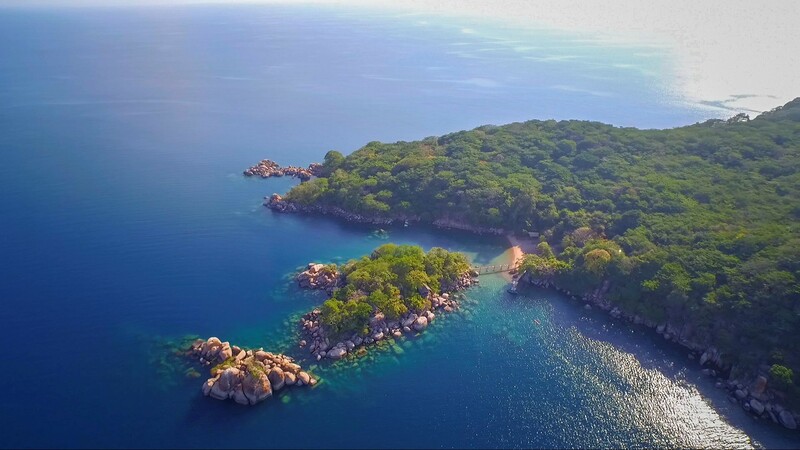 Mumbo Island is a pristine and deserted tropical island floating on the expansive waters of the Lake Malawi National Park. 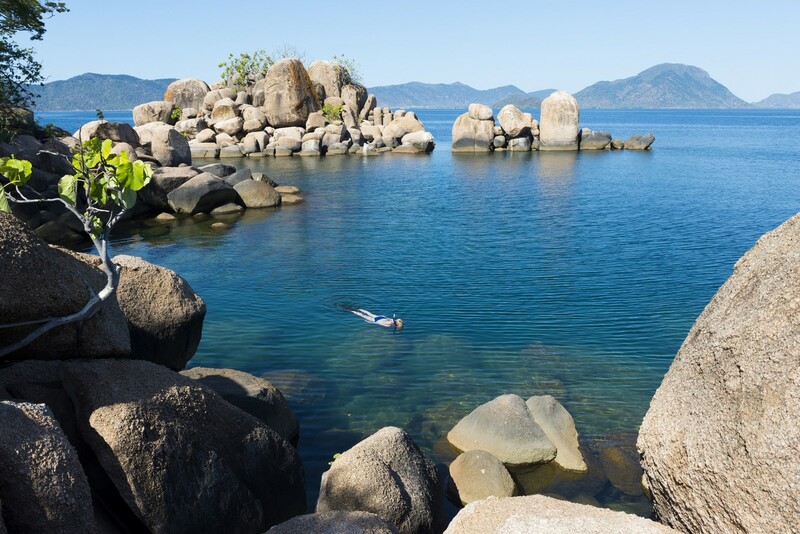 With a maze of massive underwater boulders, innumerable species of colourful cichlid fish and calm, clear water, the National Park offers what many consider the best freshwater snorkeling and SCUBA diving in the world. 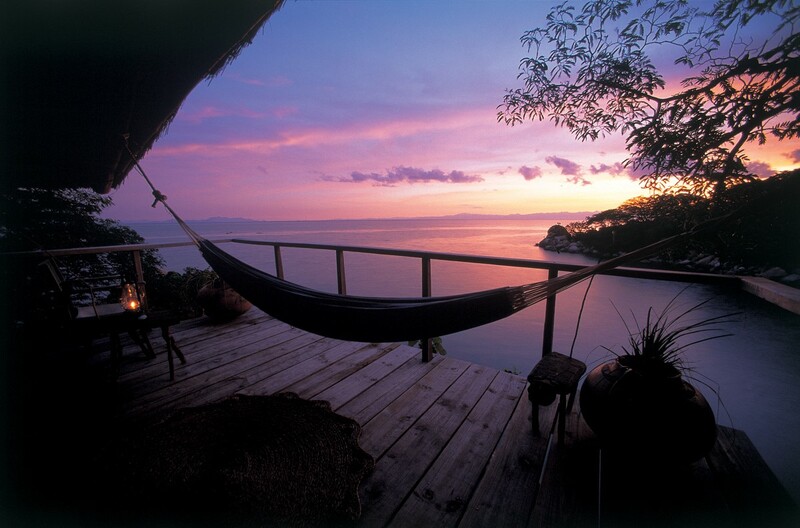 Mumbo Island is only 1km in diameter and has never been populated so it remains in a pristine, natural state. 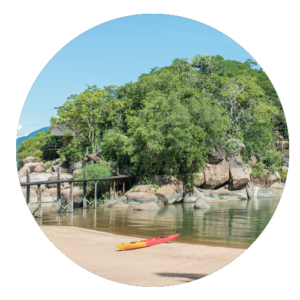 Kayak Africa run Mumbo as an entirely off grid, green camp so that it remains as unspoilt and perfect as it has been forever. 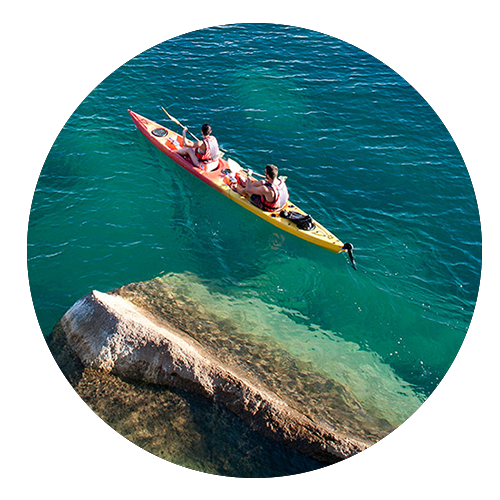 Enjoy sustainable tourism on remote uninhabited islands in the Lake Malawi National Park! Mumbo Island Camp, accommodating fourteen guests, features tastefully furnished tents with shaded decks, hammocks, hot bucket showers and ‘eco-loos’, complemented by a dining area with bar and a watersport gazebo. 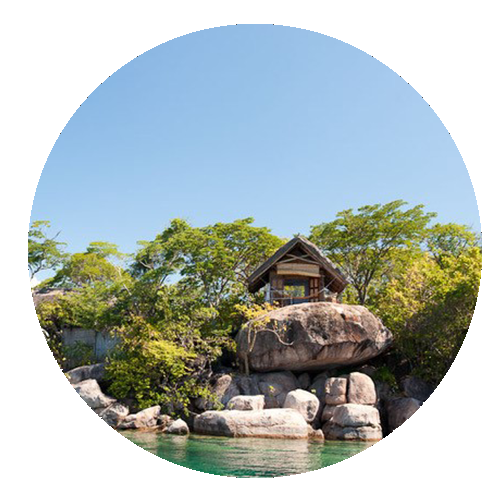 The whole camp is built of timber, thatch and canvas, and is perched on high rocks overlooking the water, blending with the lush foliage to create a ‘Robinson Crusoe’ atmosphere of rustic charm. The island is located within an exclusive concession area, guaranteeing privacy in tropical island paradise. Unlike many African lodges, the decor also maintains the ‘green’ ethos; almost all the furnishings are locally sourced and made either in the village or in Malawi.